Working with the Volgenau School of Engineering at George Mason University, Kelsh Wilson built a program of brand tools, then put those tools to work through a campaign of carefully targeted ads. The goal: to reach a group of particularly important influencers, including deans of peer schools nationwide. It’s a twist on an old joke: How does an institution create the public image it wants? Answer: Very carefully. In this case, the institution is the Volgenau School of Engineering at George Mason University, an organization that’s dynamic, fast growing, thrillingly diverse—and not as well known as it deserves to be. In early 2017, Kelsh Wilson undertook a project to change that fact, a reinvention of the Volgenau message that resulted in a new brand, intentionally planned to spotlight the school’s truly distinctive strengths and to reach a range of audiences. The program was built around the tagline “The Future of Engineering is Here”—a phrase uniquely appropriate to this decidedly forward-looking school. Shortly after the launch of the new brand, KWD teamed up with Volgenau to bring the school’s new messages to life while reaching out to a particularly important audience. This was the membership of the ASEE—the American Society of Engineering Education—including deans and department heads at engineering schools across the nation. The members of this relatively small group have a big impact when it comes to shaping opinion—and voting on rankings—in their field. Working with the Volgenau communications team, Kelsh Wilson set out to impress these key influencers with a series of ads in the ASEE magazine, Prism. Each of these ads tells a single story, and each of these stories makes the same point: that the future of engineering really is taking shape at Volgenau. Whatever the topic, Kelsh Wilson works to distill complex stories into compact (but accurate) form and to pair the text with images that leap off the page. The challenge of creating effective annual giving solicitations year-in and year-out is telling essentially the same story again and again, but always differently and always well. At Kelsh Wilson, we believe the answer lies in diving deeply into the life and work of the school. When we seek out stories of teaching and learning, of innovation, and of student achievement, we find evidence that speaks straight to the hearts and minds of donors. As Kelsh Wilson helped the Nichols School in Buffalo, NY, to develop its most recent series of annual fund communications, our source of inspiration was the school’s strategic plan. We asked where Nichols had made exciting strides toward its published goals, and we found stories of growth and progress—and of educators enriching the lives of students. One of the year’s appeals focused in on Nichols’ Entrepreneurial Studies program, another on its exemplary service-learning offerings, a third on leadership development experiences. All included quotes, photos, and interesting stories—in brief. In each case, we presented content specific enough to be interesting, but with a broader point: Nichols is engaged in exciting, important work. The impact on students is clear, the partnership of donors, essential. In the world of annual giving, there may be nothing new under the sun. But by writing skillfully about the right themes, great schools can tap a limitless supply of donor-motivating content. And those right themes all trace back to the same origin. It’s force that connects stakeholders to an institution in the first place: its mission. 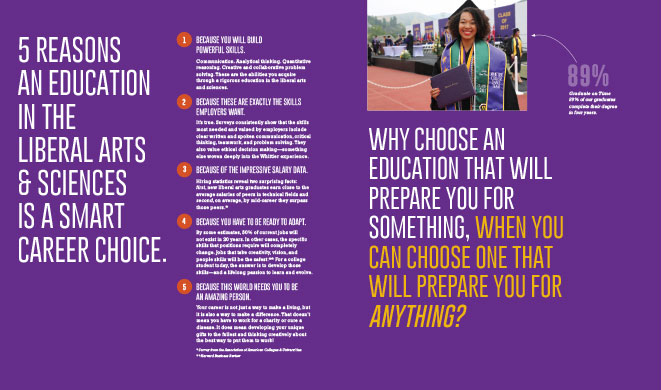 Working with Whittier College in Southern California, Kelsh Wilson showed the power of leveraging your investment in admissions communications to create projects of other kinds that draw on the same look and drive home the same themes. In the world of marketing, it can sometimes be tough for small schools to compete with larger ones, especially when the bigger institutions have proportionally larger budgets. Small schools do have at least one advantage, however: It is far easier for them to coordinate their many forms of outreach to project a single, consistent image. Having worked with liberal arts colleges and independent schools on the one hand and flagship research universities on the other, this is a lesson the Kelsh Wilson team has learned firsthand. It is also an insight we recently put to work in a developing a series of projects for Whittier College in California, an excellent liberal arts school with just over 1,600 students. The College’s first priority was to create a series of new admission publications— very brief, solidly on message, and in-synch with Whittier’s newly redesigned website. However, Whittier’s wish list included other items as well, from a re-design of the College magazine, The Rock, to banners to brighten campus walkways. They also requested creation of a series of templates to be used for print and email communications produced by units across campus, from the president’s office to the registrar, to alumni and development. Kelsh Wilson’s approach started by focusing on design and messaging for the re-invented admissions materials, brief, bold, and light in tone, but driving home compelling content points, whether about the distinctive strengths of liberal arts learning or the career success of recent grads. KWD’s designers then took key elements from the admission pieces—from typefaces and dominant colors to aspects of layout—and applied them in developing flexible templates for a multitude of other print and digital uses, from emails and invitations to short brochures. They also applied these elements in the design of banners that will define the boundaries of campus and festoon the paths followed by families on admissions tours. In redesigning The Rock, Whittier’s magazine, the team extended the look further and took greater liberties, creating a solution suited to the unique content demands of a periodical. Still, it’s easy to recognize the magazine as an expression of the same institution behind the rest of the communications program. The synergistic approach Whittier and Kelsh Wilson followed offers two important advantages. First, for any institution whose success depends primarily on tuition revenue, it’s smart to use every investment in marketing and communication to reinforce the impression created by the school’s admission outreach. Second, by making the admission materials the pragmatic starting point for other important projects, the client can realize major savings—working with one firm rather than several and investing in a single major design exploration (albeit with variations), rather than many. 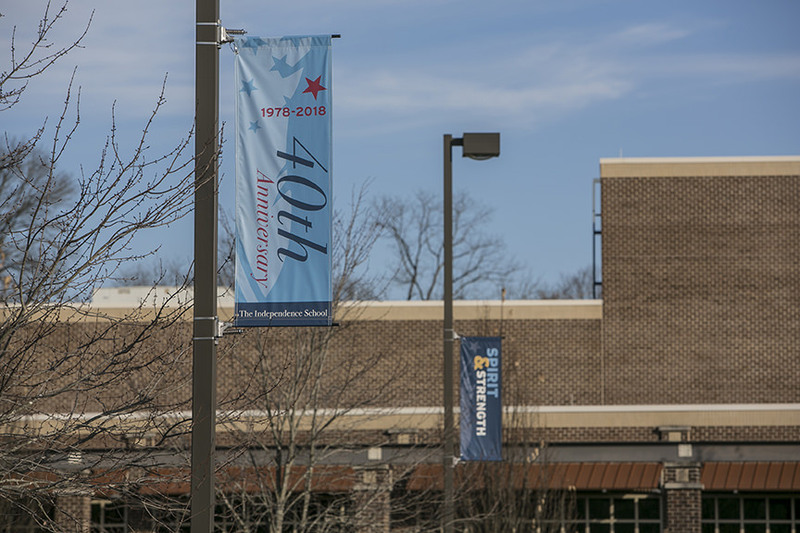 Kelsh Wilson teamed up with The Independence School in Newark, Delaware, to create a series of exterior displays that bring key elements of the school’s brand—very visibly—to life. Until recently, The Independence School faced a challenge common to many institutions: When you looked at its main building from the outside, it was impossible to have any sense of the energy within. Outside, you saw unrevealing, if impressive, facades of brick. Inside, you saw all vitality and creativity of an exceptional place of learning—one populated by 500 children, age 3 through grade 8. The situation represented something of a marketing challenge. After all, visitors’ first impressions were inevitably of a place more institutional than personal. It also represented a lost opportunity. Guests and passersby who saw the Independence building might easily go away knowing nothing more about the school than when they came. artful shapes—stars and expressive lines—festooning a long expanse of empty windows along a key connecting corridor. One lovely touch in the creative execution of the program involves the different effects inside and outside the building created by the stars-and-lines window decorations. Outside, they project color and suggest a sense of motion. Inside, they cast fascinating shadows along the floor of a main corridor, which move and morph as the day goes by. 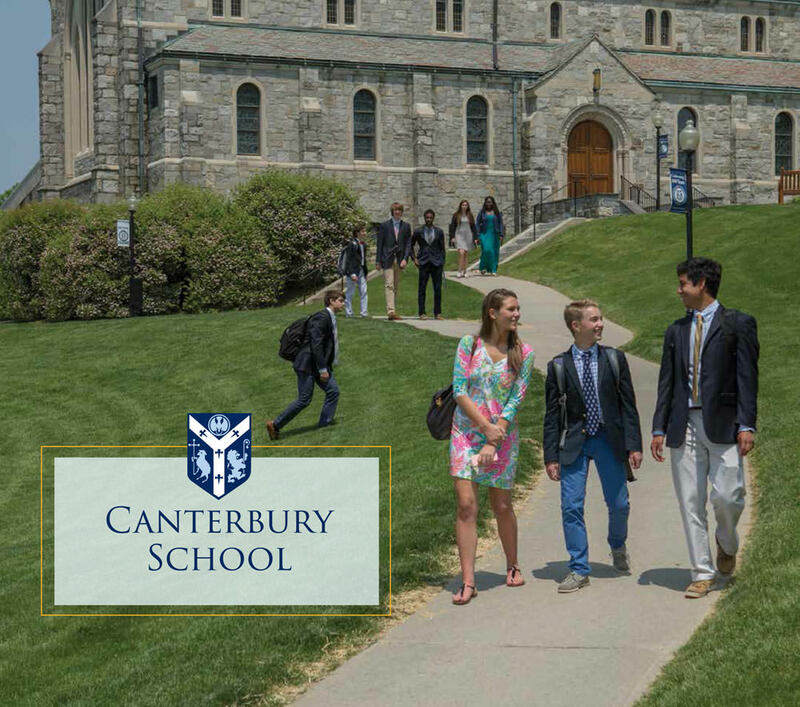 A number of elements in this program make it uniquely an expression of The Independence School—from words that are drawn from the school’s motto and marketing themes to the planning of elements to take advantage of the particular geometry of the campus. What’s not unique to Independence is the idea that a school’s most visible asset—its physical infrastructure—can be turned into a communications tool as well. In short, why not see your campus as a canvas? Working with Holy Ghost Prep, an independent boys school outside Philadelphia, Kelsh Wilson helped create a visual branding program to ensure that every piece the school creates contributes to an instantly recognizable look—a major step to a powerful brand. It’s such a basic point that it may sometimes be overlooked: A brand is nothing without consistency. You need to repeat the same set of messages if they are going to sink in. You need to employ a single set of visual elements to create a look that people will recognize. Doing so is key to building public recognition for your school. It also communicates a strong message that you are running a professional, coordinated operation. Last but not least, consistency is absolutely essential if you are working with the kind of limited marketing budget most schools have; the tighter the money, the more important that every brochure, email blast, and ad buy pulls in the same direction. The question, of course, is how? Your marketing team dreams of consistency, yet when you collect your year’s work on a table, it’s not a pretty picture. The answer is that you need a set of tools that together create a visual system, and you need to employ those tools systematically. As Kelsh Wilson and Holy Ghost Prep have together proved, it’s not something that happens without effort, but it’s more than possible with the right approach. The HGP guide also presents a brand-new athletics identity, built around a spirited “firebird” logo that Kelsh Wilson developed. The mark is bolder and cleaner than any of the dozens of competing versions used in the past. And it’s a way to make use of a branding opportunity many schools miss—ensuring that every time one of your teams takes to the field, they are projecting the same image. We would love to talk with you about how the kind of approach that’s working for Holy Ghost Prep could help your institution. Just email us to set up a call! In this age of digital media, one of a school’s most potent forms of outreach is actually one of the most traditional—the school magazine. The magazine offers the rare chance to reach all your institution’s audiences with a single compelling publication. It allows for multipage feature stories—virtually the only option left to explore important ideas in depth. And, in a strategic messaging program, it can play a key part—helping weave your message into your community’s sense of itself over time. Think about it. Your brand strategy starts when you identify the way you want to position your school and the messages you want to send. But can you simply repeat those points again and again? No. You have to keep re-illustrating your strengths with fresh and interesting stories—and that’s the heart of a great magazine. 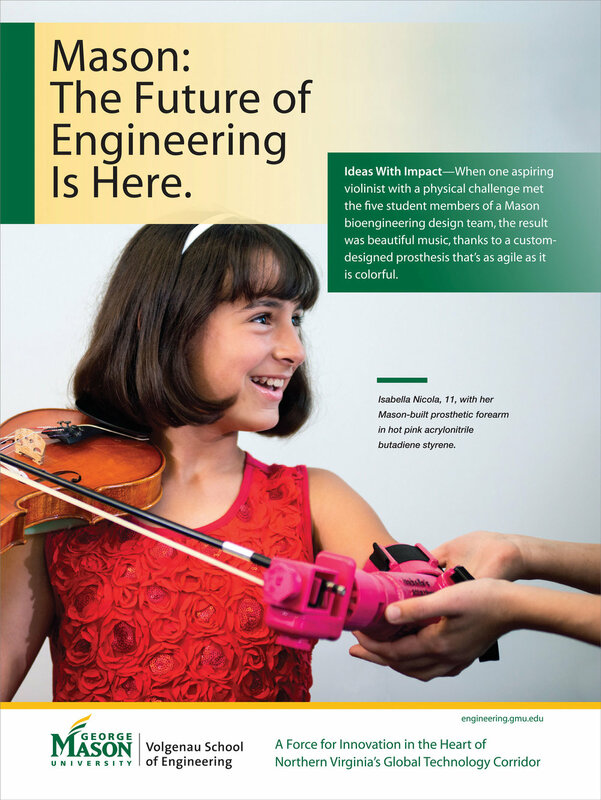 Kelsh Wilson has worked with institutions as diverse as The Masters School in Dobbs Ferry, NY, and the School of Engineering and Applied Sciences at the University of Pennsylvania to help bring new impact to their magazines. Most recently, we teamed up with The Independence School, a pre-K through grade 8 school in Newark, Delaware, to reinvent their semi-annual publication, Spirit. Part of the project was to restructure the piece with the right departments—from “Portfolio,” showing off student work, to alumni profiles (formerly rambling and appearing on an ad-hoc basis, now short, sweet, varied and in every issue). Another aspect of the challenge was to impose a new level of discipline on copy counts, making most stories shorter and the magazine as a whole more accessible. And part of the challenge was also to update the look of the publication, aligning it with the KWD-developed visual branding that unites the rest of the school’s communications and projecting a new level of quality through the design. The most important step forward in the evolution of Spirit, however, was in planning the content of major and supporting feature stories in order to align with the pillars of the Independence brand. 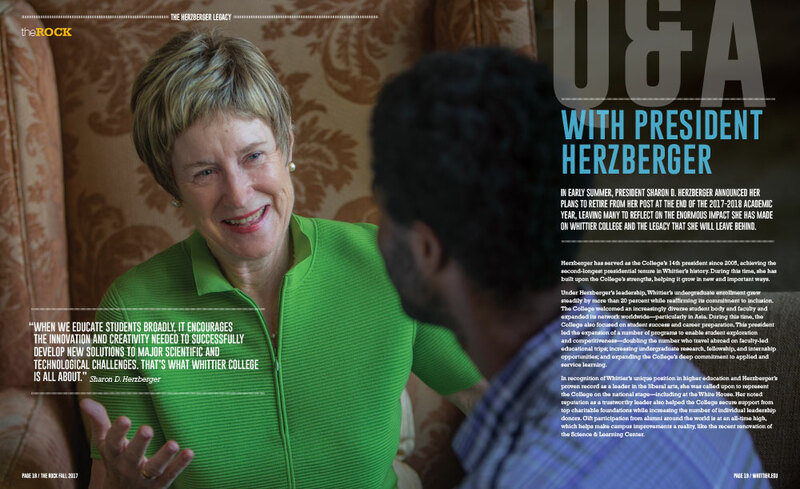 In the first edition of the new Spirit, this meant diving deeper into the student experience and the minds of teachers with a feature on character education, a signature strength of the school. In future issues, features will rotate, with careful intention, through other key themes—always linking core messages with anecdotes from the life of the school right now. The result of the Spirit redesign is a lively and colorful publication that’s generating lots of buzz—helping turn the school’s branding initiative into a sustained conversation. Like so many excellent small schools, Villa Joseph Marie has traditionally done a better job fulfilling its mission of education than it has in the task of self-promotion (a less inspiring, but necessary endeavor). 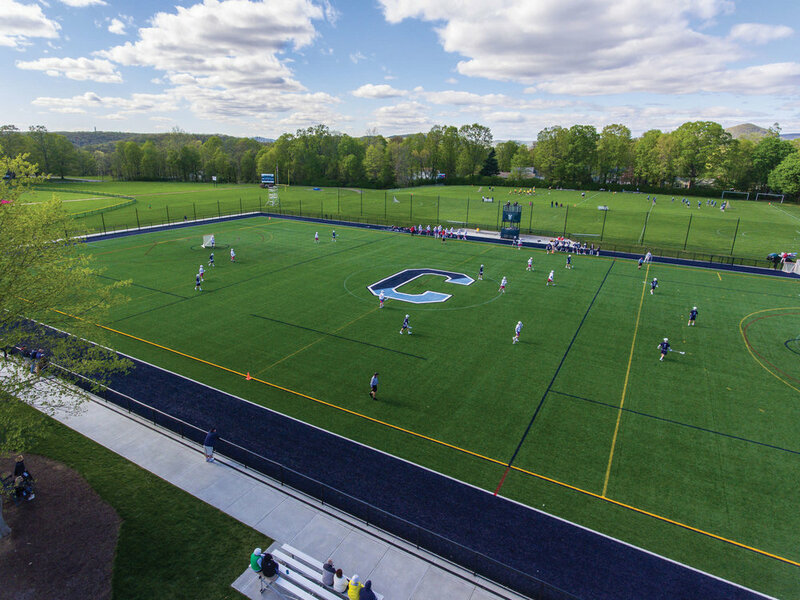 However, that recently changed when Villa’s admissions and marketing team decided to take the school’s communications program to a whole new level. As a partner in this effort, Kelsh Wilson developed a set of powerful admissions publications for the school and also a User’s Guide to the Villa Message—a key tool in bringing consistency and impact to other communications, be they print, digital, or face-to-face. 1. They took the time, did the research and really “got” our school and our points of difference. More than the words, the look and feel match the incredible environment here exactly! 2. The hiring of Kelsh Wilson was a big step for Villa. It was a conscious decision to no longer be “the best kept secret” and break from our quiet humility. I am truly excited to see the long-term impact of this investment on our school and our community.